A. No. However, the majority of our fabrics are. 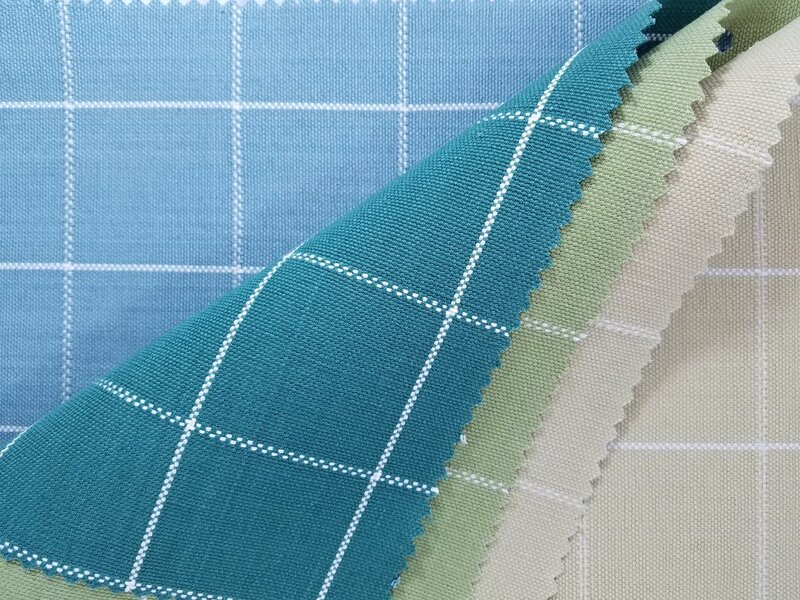 Most of our cottons and linens are hand woven but there are times where the pattern, color or texture call for a different process. In order to stay relevant and competitive, we must adjust with the time. And, frankly, there is a some great innovations happening in tech and we're all excited about what's possible. All that said, there are some patterns that simply can't be achieved by machine so we focus on staying competitive there. Q. How long does the fabric take to produce? A. Dyeing the yarn can take up to a week. It takes another week for it to dry through. A week to tie up the warp and from there it takes a skilled weaver a day to weave 5 yards. We have access to up to 250 looms at a time so we can be producing quantity at scale but it all depends on the variables. Q. where are malabar fabrics stocked? A. The majority of our fabrics are stocked in our Indian location. This warehouse services orders from around the world. Holding stock this way allows for us to invest in other areas of our business and still offer timely service. That said, there are times when delays happen with couriers and, let's face it, differing communication in cultures can make for some trying times. Q. what is the minimum order for malabar fabrics? A. 25% restocking fee for all orders cancelled after end of day of order. Exceptions can be made case by case. However, if the fabric has been cut and prepared we are firm on this policy. Q. do you provide a cfa? A. Yes, CFA's are recommended on our fabric IF color matching has to be exact. Generally, the colors vary within 5% as these are natural fibers. However, because the product is stocked OVERSEAS, getting the CFA can delay the order. If you are needed it for reference only, we suggest you use your sample. Q. do you sell direct to public? A. Malabar is a direct to trade only. Please call us for your closest store, or designer to purchase through them. If you are a designer, and would like an account, please fill out our trade account form here and we can help you out. We will be launching a line of accessories that will be available to public soon. Q. Where can we view Malabar fabrics? A. You can see a selection of our fabrics online or, view our list of showrooms to schedule an appointment to view our line.